DOES Daniel Ricciardo regret his decision to move to Renault? That is a question only he can answer according to Red Bull boss Christian Horner, who admitted there is a "dark cloud" over the Australian at the moment. Ricciardo only has two races left in his Red Bull before making the surprise move to Renault - even if he did offer his seat to 2019 replacement Pierre Gasly early after an eighth retirement of the season in Mexico. Most of the 29-year-old's DNFs this season have been due to the unreliability of the Renault engine Red Bull are using, and replacing with Honda next season, leading many to question why Ricciardo signed a two-year deal to keep using it. 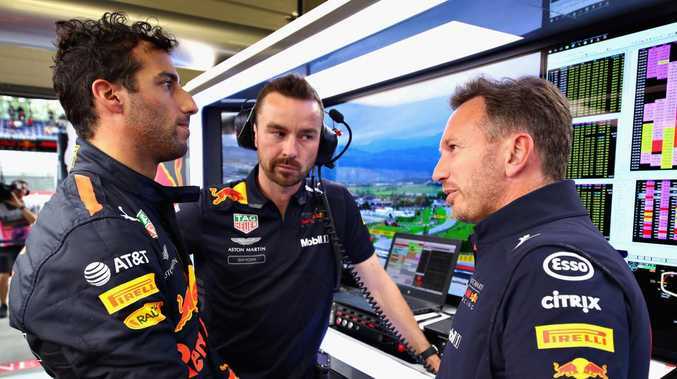 But Horner insisted that only Ricciardo can say whether or not he is regretting the decision to move as he hopes for some positive results for his driver in his last two races. "Only Daniel can answer," he said when asked by Motorsport.com if Ricciardo was beginning to regret his decision. "There's no point broaching that with him - the decision was made, he was comfortable with the decision. "He's driving a competitive car that's taken pole position this weekend and you can see the differential between where this part [the front] of the grid is and where this part [Renault] is two laps behind."